As our gardening chores wane, as summer fades into fall, let's talk about what worked and what didn't work during our most recent gardening season. All those seed starting successes and failures are still fresh in our minds, so let's share them. It's a good opportunity to germinate some added features within our cubit, too. I have added in a perennial specific forum, moderated by Charlie (SunnyBorders), and Sharon (Sharran) is helping as an administrator. Believe it or not, our gardens will be winding down soon with fall and cooler temperatures on their way. I thought this would be a good opportunity to go over some seed starting successes and failures I have had while I can still remember them. I hope you will share your successes and failures, as well, while you can still see the results of what you tried this year. For my area, a warm zone 7, I start my tomato, pepper, and other garden seeds around the end of February to middle of March. 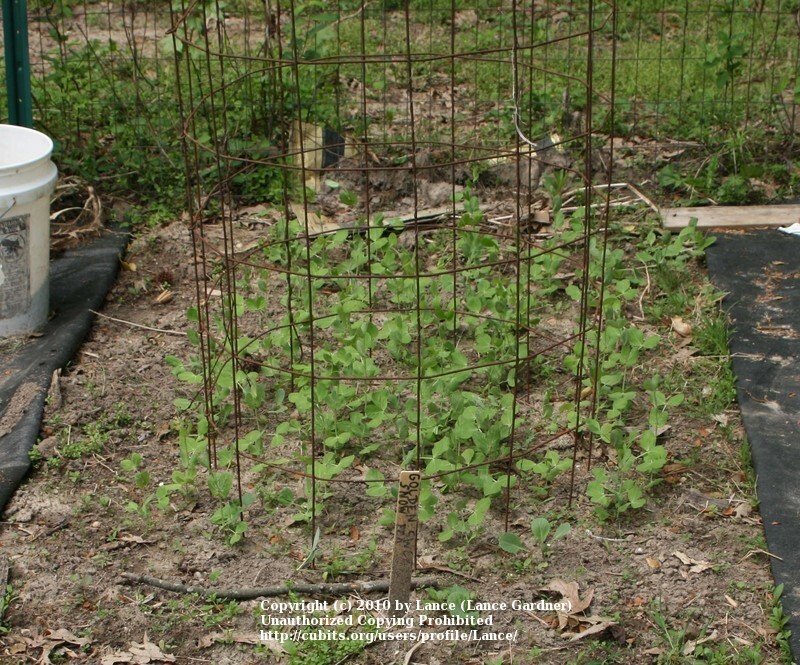 Some years, if I don’t get things in the ground quite soon enough, I end up with very tall and spindly tomatoes. But since tomatoes can have almost their entire stem planted in the ground, that still works out just fine for me. In general, you should start your annuals, whether they be flowers or veggies, about 6-8 weeks before you plan on putting them in the ground. You will want to put them in the ground when the soil has warmed and dried out enough for the plants to actually grow, as opposed to sitting there in the dirt wondering where the nearest heater is. My favorite seed starting containers are those plastic left-over tubs, with a clear lid and clear or black bottom. I can divide these up into maybe 4 sections, depending on the container size and what I am starting, and plant seeds with similar germination rates together. 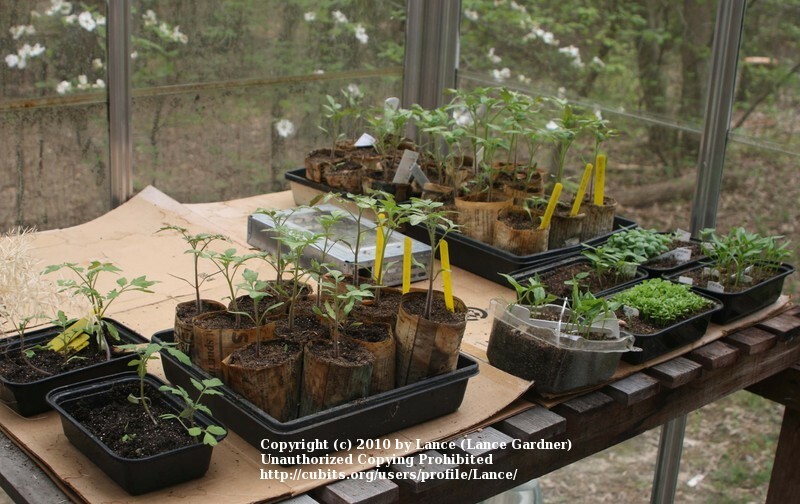 I also prefer to use smaller containers, so I don’t end up mixing tomatoes with peppers, for example, since different plants can have very different germination times. One very important part of your container selection is to make sure they are clean. 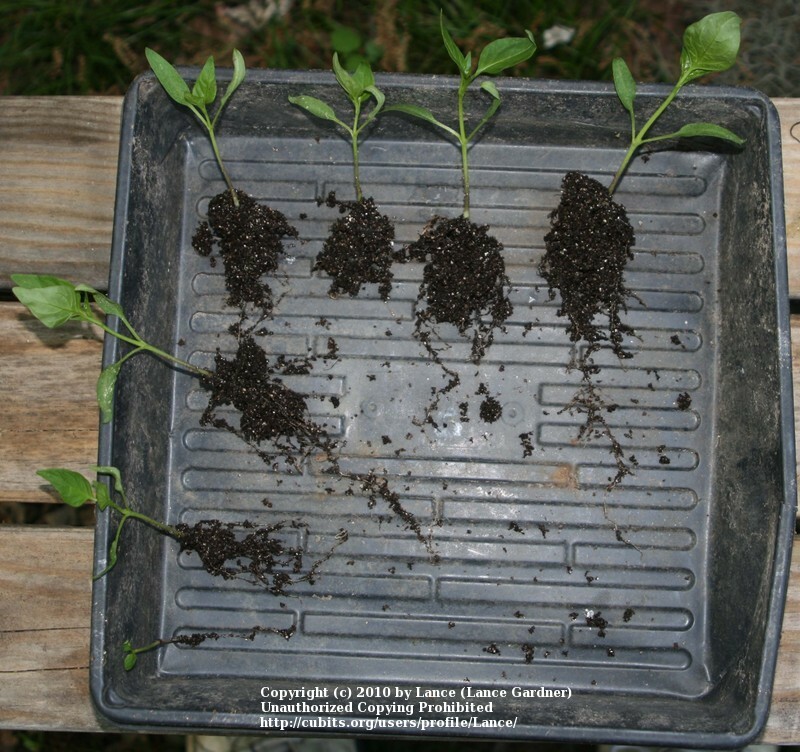 In the past, when re-using containers, I lost many seedlings to damping off disease, a fungal disease that will topple your seedlings like little trees. My method for cleaning is to fill the dishwasher with my seed containers, and then run it on a mild or low setting. Likewise, insure anything else that comes into contact with your potting mix or seeds is not likely to transfer pathogens. This means not using garden trowels, stakes, gloves, or similar for seed starting, unless they have been thoroughly cleaned or sterilized. Bleach works well for this, but I just wash my hands, and do most of my work with fingers or dedicated seed starting tools. My seeds are also stored and organized in an airtight bucket. To organize my seeds, I use Ziploc bags labeled for when the seeds need to be planted, such as indoor early, outdoor early, and outdoor warm, then place the individual seed packets in these bags. The Ziplocs are put in the bucket, and the whole thing stored where it is cooler. To help these little energy packets get going, I use a heated seed starting tray that I made. 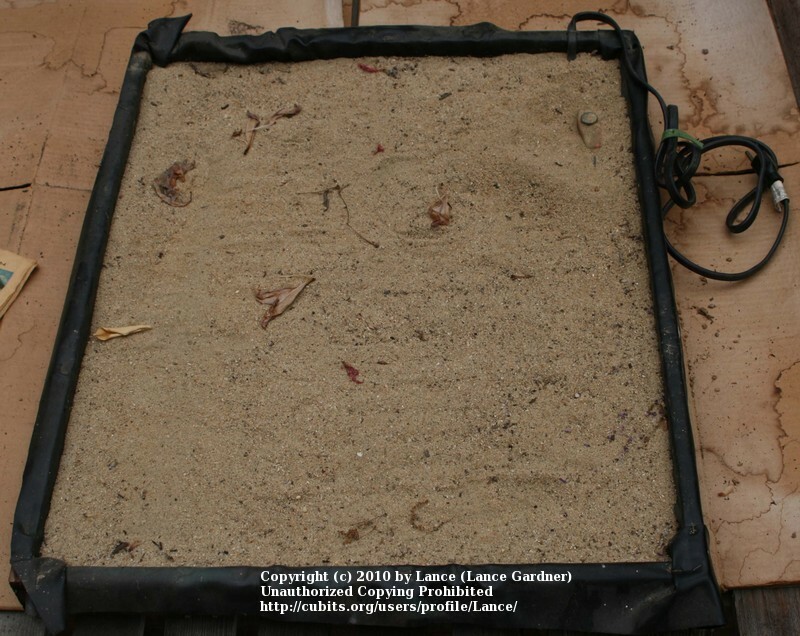 This tray is basically a shallow open box with a waterproof liner filled with sand, which is then placed in a sunny garden window in my kitchen. I wish I had had the foresight to take some photos of my set-up this spring, but alas hindsight always seems better foresight. 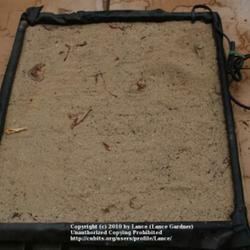 A heating element is buried in the sand, and the whole thing kept moist to help disperse the heat. The type of heater I have is a cable with a thermostat (shown unburied in the photo), but you can also get heating mats and probably other types of heaters from many gardening centers and catalogs – just look up heating cables or mats in the seed starting section. If your seed starting is an area that will get cool at night, than some source of heat is very helpful to insure better germination success. For seed starting medium, my current favorite is the Southern States Tobacco and Vegetable Seed Starting mix. Although it probably has some synthetic fertilizers in it, it is also very fine and has coir, a potting medium I have come to appreciate (look for this article soon). So why do we go through all of this trouble to get these seeds started, when nature has done it quite well for so very long? For me, because I paid a lot of money for these seeds, I want to get as many plants as I can for the cost. 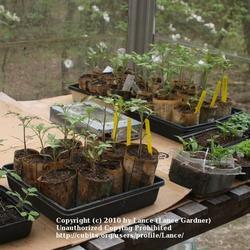 It also enables me to pick out the biggest and healthiest seedlings to transplant. If I have a pile of seeds that are either saved from previous years or not very expensive, I have no problem broadcasting them and may the toughest survive, but for things like tomatoes and peppers, I want as many as I can get. That is also why I don’t put 2-4 seeds in their own single containers, as only one can be left to fully develop. I leave the lids on the containers to retain heat and moisture. As the seeds germinate, I remove the lids so they don’t get cooked on a sunny day. After most of the seeds have come up, I take the containers from their heat source and put them in my greenhouse which has lots of light, but is a bit cooler to slow down their growth. 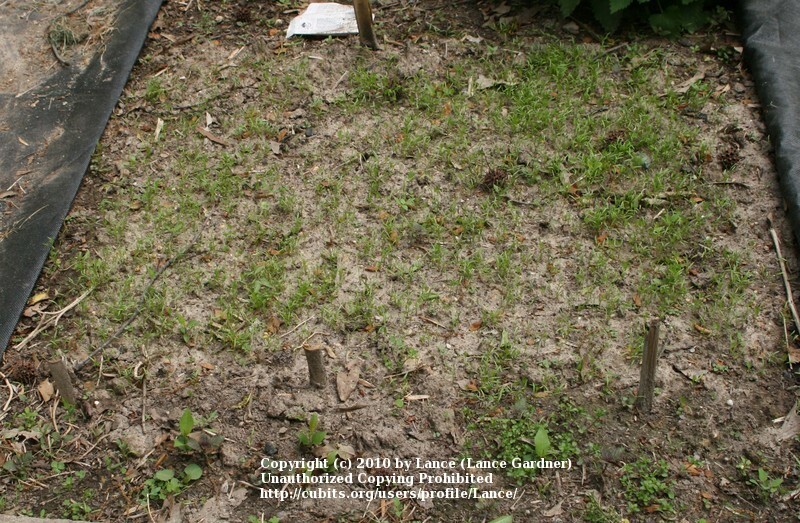 If the seedlings grow too fast, they can get a bit spindly with weaker stems. This is one reason to only put similar seeds in a single container. If they do not get enough light, this will also cause weak stems. In this photo, you can see another source of seedling loss I need to control: mice. This is a live mouse trap that is essential in my house and greenhouse, as they enjoy digging up the little seeds and nibbling on them, or more frustrating, munching off the germinated heads just below the first leaves right after I transplant them. Once the stem is cut off below the cotyledon leaves, the plant is doomed, as it has nowhere to put out more branches or leaves. I leave the seedlings in these small containers until they put out 2-3 sets of leaves, then work on putting them into individual paper pots. You don’t want to leave them in the small containers too long, as their roots will intertwine and you will lose most of the root system when you transplant. 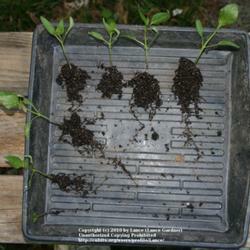 Note how big the roots are for these peppers; the plant will need to regrow any lost roots before it can get bigger. Most people don’t realize that the roots are more spread out than the tops and are just as important to keep intact. I like paper pots because they are free, easy to make, can be made to any size you want and the whole pot can be planted in the ground to reduce root shock when the time comes. I may do a different article on making paper pots, and there are plenty of videos online, as well. Another good seed starting tray is paper egg cartons. Just like paper pots, they fall apart readily and can be planted with the plant. However, they are small, so they can only be used for very small plants. From this point, I put the pots into water holding trays and water only from the bottom to avoid soil compaction. I use a mixture of coir and heavier potting soil for the transplants, to get their roots used to the heavier soil of a garden. You still don’t want to use garden soil, as there are many pathogens, and even basic worms will eat live roots when other material is depleted. Here you can see some plants put into paper pots, and others awaiting their turn, still in their original seed starting containers. 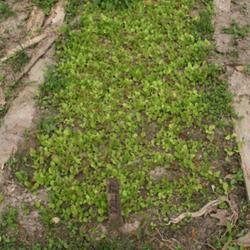 For outdoor seed starting, such as lettuce or carrots, I prefer to use a wide row or block planting method. I can get a lot more produce from a block than single plants all in a row, reduce root damage (remember, the roots spread out greatly, and cultivating the walkways will whack off roots from the plants you want), shade out weeds, and keep the ground cooler for the cooler plants. For small seeds, I put the seeds and some sand into a small shaker can, such as a parmesan cheese can, mix them up, and then shake them out over the prepared area. The sand helps to evenly disperse the seeds and show me where I shook them out. 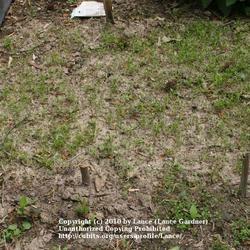 I then tamp down the area to insure good soil contact, and they germinate just fine. 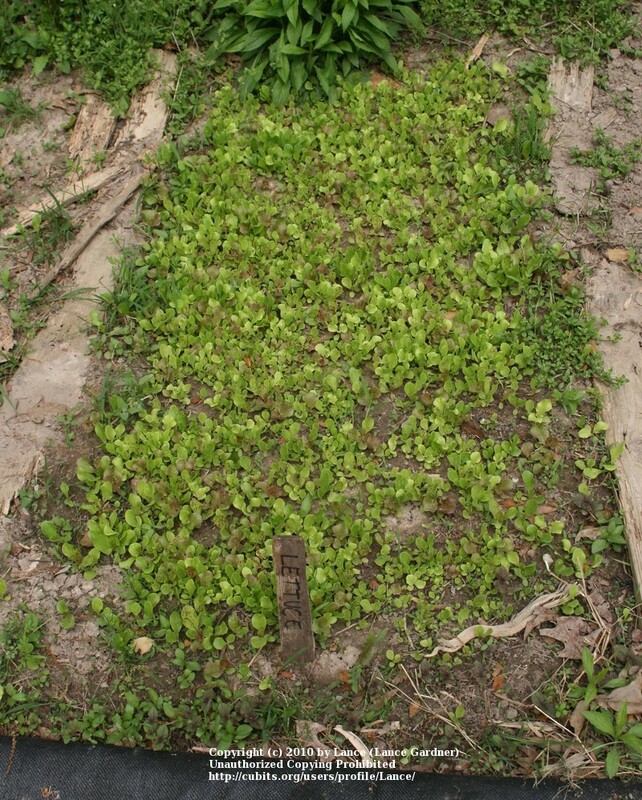 This past year, the lettuce seen here was actually planted a bit too thick, and I did not thin it out quickly enough. The plants actually competed with each other too much, and did not get as big as past years. 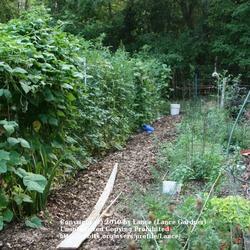 Previously, I would thin as the plants grew and eat the thinnings as spring greens. This year, I should have seen there were too many, and started pulling out the excess. The carrots did OK, but could also have been thinned a bit more. Live and learn. 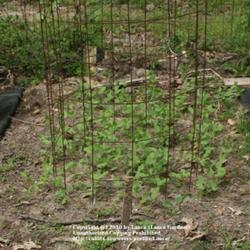 The peas you see are also in a block for much the same reasons. However, they need to be planted deeper. So, I actually remove about an inch of soil and push it to the side, broadcast the seeds by hand and move them around so they are well spaced, and then push the soil back over the top. I do the same with beans, corn and similar larger seeds. Although removing this much soil may seem like a lot of work, it actually is easier in the end, as the seeds can be tossed into the area, moved with a hand or long tool, and then covered. It also enables my son to easily help, as he can toss the seeds in and help cover them. I also pre-soak the seeds in warm water overnight to get faster germination, and the soft seeds are easily squished if you try to push them into the ground. So how well does it all work? 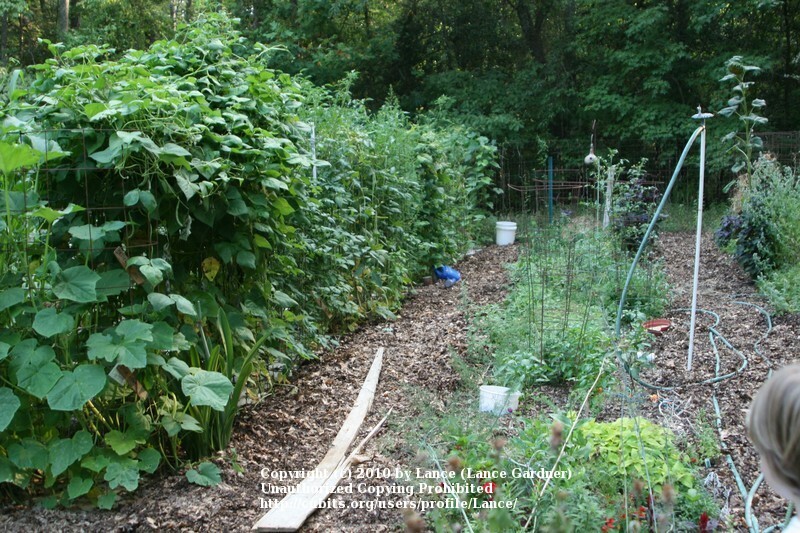 Here you can see some of the results, as my tomatoes and pole beans seem to compete for which can be the biggest, easily having vines exceeding ten feet every year, with plenty of produce for me and to share with others. So what are your favorite methods? Tell us what you have done, and what has worked and not worked for you.